Bonny Slope’s 6th Annual Jog-A-Thon is just around the corner! The Jog-A-Thon is a school-wide event, promoting fun and fitness while raising essential funds for our school. Students will solicit pledges/donations and then run, jog, or walk their way to the finish line, generating Bobcat pride and funds! The money raised will be used to support programs that directly enrich our kids’ education. A fundraising packet will be distributed in Friday Folders on April 18th. In the meantime, you can get a HEAD START by setting up a FirstGiving Fundraising page for your child(ren). YOU CAN START FUNDRAISING TODAY! Create a FirstGiving page by noon on April 17th for your child(ren) to be eligible for a prize drawing at the Jog-A-Thon Kick-Off Assembly on April 18th. 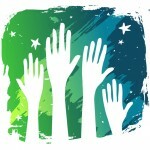 Visit Bonny Slope's FirstGiving web page at www.firstgiving.com to setup your own fundraising page. Click the “Fundraise” button to create an account and join your class team. Add pictures and a story to your personal fundraising page. Let people know what you love about Bonny Slope! Spread the word using email, Facebook, and Twitter. Donors can give set amounts or donate per lap. Track your personal fundraising goals and totals for your class. Make sure your team wins by raising the most money! Questions? Contact Leigh Havelick (leigh.havelick75@comcast.net) or Megan O’Malley Cook (omalleymeg@icloud.com). Volunteers needed! Please sign up today. FirstGiving charges 7.5% fee. Donors have the option of paying this transaction fee during the checkout process. Students and parents can still collect pledges using the envelope method. 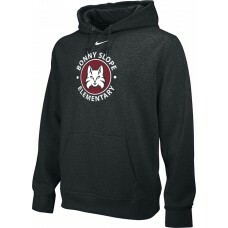 Materials will be sent home April 18.